The endless views of the Aegean blue and Cycladic light from Cape Mykonos hotel create a unique sense of relaxation and creativity. 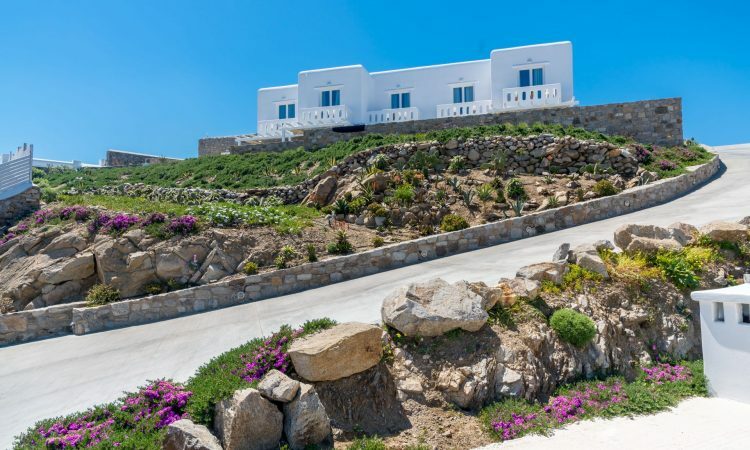 The hotel is located next to Megali Ammos beach and just 500 metres from Mykonos Town. A short walk away and you can enjoy winding through the gorgeous, narrow streets of Mykonos Town with its beautiful shops and stunning spots. Due to the, sometimes strong, northern winds Megali Ammos beach is a meeting point for surfers. Even though this beach does not provide sun loungers or parasols for visitors, it is the ideal place to enjoy a leisurely stroll along the sand or a swim in its crystalline waters, while there is also a variety of other activities on offer, such as horse riding, snorkeling and spearfishing.